The Braxto-love doesn’t stop flowing around here! For those who missed out on our Braxton Mosaic contest, we’ve giving away another extremely primo Anthony Braxton box set. We couldn’t be more pleased to be offering a free copy of the amazing 9 Compositions (Iridium) 2006 box set, courtesy of Taylor Ho Bynum and the good folks at Firehouse 12 Records. Dig it, ya’ll: This is a monster NINE CD, plus one DVD, box set. It can retail for $130.00 (worth every nickel, too). These tunes represent the culmination of Anthony Braxton’s decade-long “Ghost Trance Music” project, featuring blazing performances from his crack 12(+1)tet during an extended stay at NYC’s Iridium. Some samples of this amazing music are posted above for your delectation. Time Out New York called this set “epochal” and Braxton himself deemed it “the point of definition in my work thus far.” Folks are still absorbing this amazing music, but when the dust settles we expect it to rank as one of the major benchmarks in Braxton’s discography. For more details, please scroll down and check out Taylor Ho Bynum’s insightful essay, and the links that follow. TO ENTER THE CONTEST: Mail us your answer to the question below at destination[dot]out [at] gmail[dot]com. (Do NOT answer in the comments section of this post.) If you guess one of the two countries correct, we’ll count your answer. All correct entries will be put in a hat and the winner drawn at random. Contest deadline: Midnight, Tuesday, October 28th. ALSO: If you entered our Mosaic contest with a correct answer, you’re automatically in the running for this set! Please email us only if you want to opt out of this second drawing, and don’t want to be entered again. 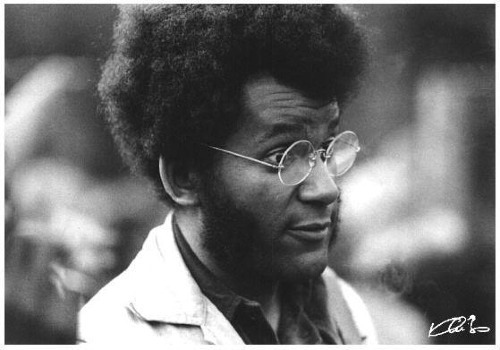 CONTEST QUESTION: In what two countries did Anthony Braxton perform for the first time in 2008? Last Saturday night I was in Philadelphia, performing Anthony Braxton’s Composition 103 and Composition 169. The first piece features seven costumed trumpeters (complete with tasseled green shirts, flowing black capes, and fez-like hats all festooned with various symbols, and, of course, Zorro masks) digging into 40 minutes of mute changes, timbral variations, pyramiding hockets, and lush harmonies. The theatricality of 103 creates a powerfully ritualized atmosphere that heightens the music’s intricate structures. The second piece, 169, is the ultimate chops and brain workout, dense passages of unrelenting rhythmic complexity hammered out in brassy unison, occasionally tempered by rich suspensions or didgeridoo-like pedal tones. Both pieces are striking in their orchestration, recognizing and exploiting the unique qualities of brass, while pushing and challenging the players to reach beyond what is considered possible on the instruments. The music sounds like nothing else by any other composer, and sounds like nothing else in Braxton’s oeuvre, yet at the same time is unmistakably and identifiably “Braxton” music. As I’ve written before, this is one of Braxton’s many magics. I can think of no other composer who so comfortably works in such a diversity of contexts, yet who has such a powerfully stamped musical identity. This is well illustrated in the new Mosaic box set: from streamlined two horn/bass/drum quartets, to dueling pianos, to big bands, to solo saxophone, to four orchestras. In my own blessed experience, in the past ten years I’ve been able to participate in a ridiculously varied series of projects with him, including conducting one hundred tubas, improvising in trios with interactive electronics, interacting with “tri-centric” creative orchestras, and “kicking it about” with his remarkable 12+1tet. Braxton has long made clear that the building blocks of his musical language are based on his solo saxophone music, and yes, in his instrumental virtuosity you can hear his artistic DNA. Because it’s a different kind of virtuosity. It’s not the clean, fleet runs of so many post-Parker players, but (perhaps much truer to Parker’s own journey) it’s technique being pushed to its absolute limits in service to the balanced goals of conceptual investigation and emotional resonance. When you listen to one of Braxton’s solo recordings, or listen to one of his improvisations within an ensemble, or listen to one of his orchestral compositions, this balance is always paramount, an extraordinary combination of the head and the heart. Usually, the specific idea he is dealing with in each instance is palpable: it might be exploring the possibilities of a multi-phonic growl or a particular articulation, or the tropes of big band or march music, or the resonance of seven trumpets simultaneously freeing their horns from mutes. The music always has a point. Yet this intellectual engagement is matched by a fervent belief in the strength of the performer’s humanity; a commitment to the magical artistic vulnerability of pushing oneself beyond the known. I love the opening essay by the Destination: Out scribes about the “pure pleasure” of listening to Braxton’s music. That sense of exuberant happiness at being alive and making music is something that radiates off of Braxton’s person and his work. When I walk off stage with him after a concert, there is zero sense of a jaded professional musician going about his business; rather there is the thrill, the camaraderie, and the sense of discovery that only comes with the most satisfying artistic odysseys. It’s a particular inspiration to me that even after Braxton’s 40-year career, this feeling remains so vibrant, the journey still feel so fresh. A marvelous example of this kind of journey is documented on the Iridium box set mentioned above. As Braxton himself has noted, these performances were the culmination of ten years compositional work on his Ghost Trance Music. Over that decade, GTM underwent major evolutions, from the focused, meditative consistency of the early compositions to the multi-layered complexity of the late pieces. However, the primary conceptual principle behind the system remained clear: the creation of an almost infinite chant that could serve as a bridge to connect the various musical worlds Braxton has created, while offering passages to yet unexplored territories. Anthony would be the first to point out that, as wonderful as the past may be (as evidenced by the treasures of the Mosaic set), the present has got something going for it as well. And what we should all be most excited about, of course, is the future!